Among the best of the best! 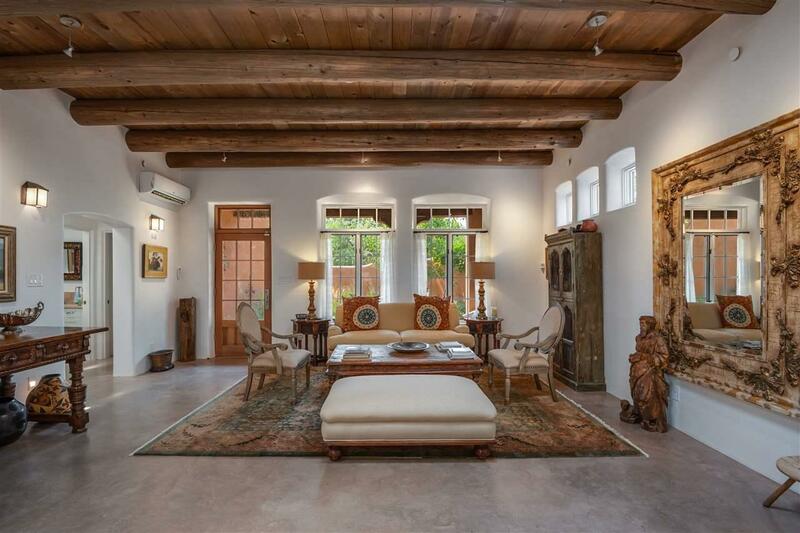 This fabulous residence in Las Casitas del Canon compound, adjoining historic El Zaguan, the James L. Johnson house and garden on Canyon Road, is an absolute delight! 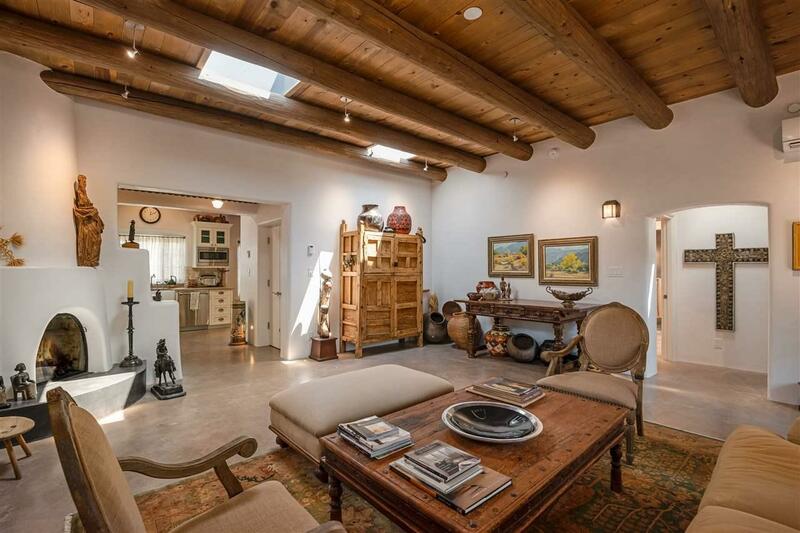 The home, built three years ago by acclaimed Santa Fe builder Doug McDowell, is a wonderful Pueblo style with all the most modern features and amenities. A walled front courtyard and portal lead into a beautiful living room with kiva fireplace, high ceiling, and beautiful light. 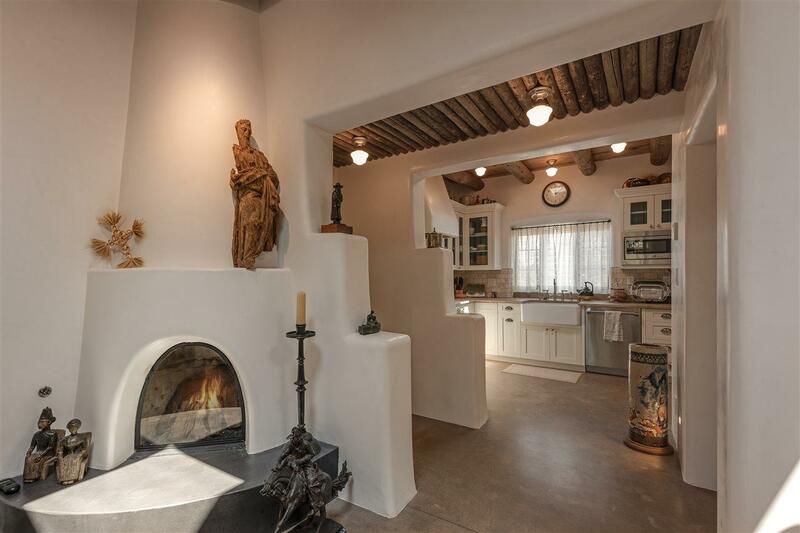 A well-equipped kitchen and dining area open to a very pleasing portal. The master bedroom also opens to the portal and features another kiva fireplace and luxurious bath. The second bedroom could instead serve as a very comfortable den or office, as it does at this time. Theres refrigerated air conditioning, in-floor radiant heat, and a one-car garage. 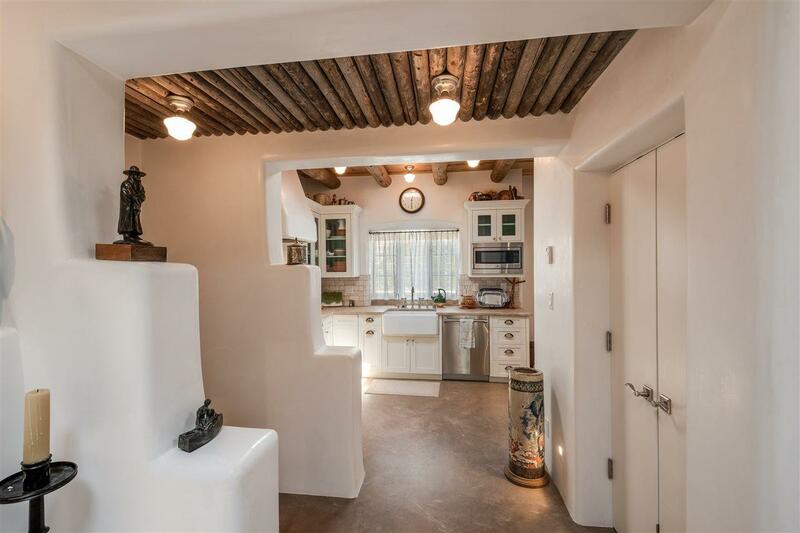 Theres a well for all the beautiful landscaping, which includes a verdant entry driveway and fountain in front of the gated compound, which also has access to the El Zaguan garden and historic building and direct pedestrian access to Canyon Road. Superb offering!